Holy Week or Semana Santa, is one of the most significant events for many religious Filipino Catholics. This is a week of repentance, penance, and meditation. It is also a week to commemorate redemption and salvation. The whole week is marked by different religious traditions, and one of these is the Visita Iglesia. Visita Iglesia is a religious tradition that is usually done every Maundy Thursday. The faithful visits 7 or 14 nearby churches. Sometimes the number is not fixed, and sometimes Catholics even travel far to go to different churches, depending on their practice. No specific set of prayers are being prayed but the Catholic Church encourages the faithful to pray for the Pope’s intentions, the Lord’s Prayer, Hail Mary, and Gloria Patri. Some people also opt to do the Station of the Cross during their Visita Iglesia. The purpose of the visitation is to pray and pay adoration to the Blessed Sacrament in the Altar of Repose for every church. This is typically done after the Mass of the Lord’s Supper and the churches are usually open until past midnight to accommodate the churchgoers. How Did Visita Iglesia Start? It was said that this pious tradition started way back in the 1550s by Saint Philip Neri together with his friends. They would gather and set out their “Seven Churches Walk” before dawn. These churches, which were the 7 major basilicas founded in Rome, were believed to house the tombs of prominent martyrs like St. Peter. Eventually, the practice spread out and was included in the Holy Week practices. When it was first introduced to the Filipinos, it was harder to completely visit 7 churches at first since there were fewer churches back then. But now, the tradition has evolved with more churches to visit, and activities such as Bisikleta Iglesia (where bicyclists ride their bikes to visit churches) were formed. Those who are not able to physically visit the churches can also do the Visita Iglesia online. Many Filipino Catholics look forward to Visita Iglesia during the Holy Week. And, according to the CBCP, the Visita Iglesia is the Catholics’ way of reassuring Jesus Christ that they are here for him. That they are willing to spend their time to pray, contrary to the Apostles who did not respond to Jesus’ invitation to pray in Gethsemane. The church was created as part of the visita iglesia for Carcar and it was under the jurisdiction of the Argao parish. In 1830, the church became an independent parish under an Augustinian friar Mariano de la Ascension. The church was completed in 1881. The most significant feature of the Nuestra Senora del Pilar de Zaragoza are the paintings of the 7 Sacraments as well as the 7 Days Creation of the World. The St. Michael the Archangel Church has a unique feature compared to other churches on the south side. The church features a Corinthian masonry which gives it a very sophisticated beauty. The church was founded in 1733 by Fr. Mateo Perez. The San Guillermo de Aquitania Church was used as a refuge of early settlers from invading Moros and is among the few remaining church-fortress in the Philippines. Just like the church in Argao, the San Guillermo de Aquitania Church is another type of Baroque-Rococo structure. Considered to be among the Baroque churches in the Philippines, this church is also declared as a national treasure and soon, a UNESCO World Heritage site. The St. Joseph Parish church was completed in 1936 but it has been said that the church was a parish then since 1877. The church celebrates its fiesta every first of May in honor of St. Joseph the carpenter, the husband of Mary and father of Jesus. The Our Lady of the Immaculate Conception Church is one proof of Oslob’s rich and colorful past. The design of the church was made by Bishop Santos Gomez Marañon, the same person who constructed the legendary kiosk of the Magellan’s Cross in Cebu City. 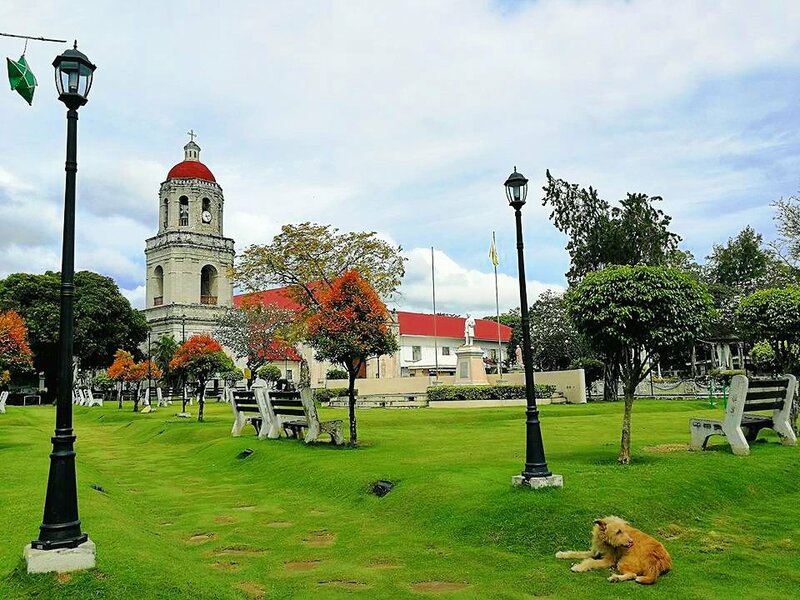 For someone who loves to have an adventure beyond the usual this Lent, doing Visita Iglesia in the south part of Cebu will be a perfect routine. Though there are a lot of churches found in Cebu but the above mentioned are simply worth visiting. Have a blessed Lenten season everyone! The Argao Royal Palms is your premier access to the charms of Southern Cebu. Located right in the heart of Argao, this emerging destination is widely known for its historical-cultural heritage spots and eco-tourism activities that have caught more attention to both local and foreign travelers.